US Supreme Court justice Ruth Bader Ginsburg meets with members of Israel's Supreme Court after winning Genesis lifetime achievement award. United States Supreme Court Justice Ruth Bader Ginsburg visited her Israeli counterparts in Jerusalem on Thursday, a day after she was awarded the Genesis Lifetime Achievement Award. The 85-year-old jurist, who has served on the US Supreme Court since she replaced Justice Byron White in 1993, was selected for the Genesis Award last November. According to the Genesis Prize Foundation, Ginsburg was chosen by the five previous recipients of the prize - former New York City Mayor Michael Bloomberg, actor Michael Douglas, violinist Itzhak Perlman, sculptor Anish Kapoor, and actress Natalie Portman. On Wednesday, Ginsburg received the prize at an award ceremony in Tel Aviv, during which the Supreme Court justice said she had been inspired in her career by Holocaust diarist Anne Frank. 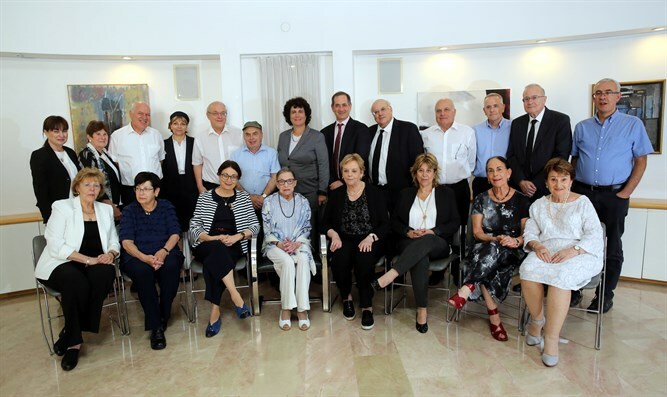 A day after the award ceremony, Ginsburg visited the Israeli Supreme Court in Jerusalem, where she was received by both current and former members of Israel’s high court, including incumbent chief justice Esther Hayut, and her predecessors, Dorit Beinisch and Miriam Naor. “We are excited and happy to welcome US Supreme Court Justice Ruth Bader Ginsburg to the Supreme Court in Jerusalem,” said Hayut. Ginsburg, a Clinton nominee, is currently the oldest justice on the court, and the longest-serving member of the court’s four liberal justices. A proponent of the notion of a “living constitution” which must be reinterpreted today outside of the original intent of the framers, Ginsburg was nevertheless a long-time friend of the court’s most prominent conservative member, Justice Antonin Scalia, before his death in 2016. Ginsburg is one of three Jewish members of the US Supreme Court, and the first Jewish woman to ever serve on the court. Ginsburg’s nomination in 1993 made her the first Jewish justice on the court since Abe Fortas left the court in 1969.